Part of the new line 6B pipeline in central Michigan. 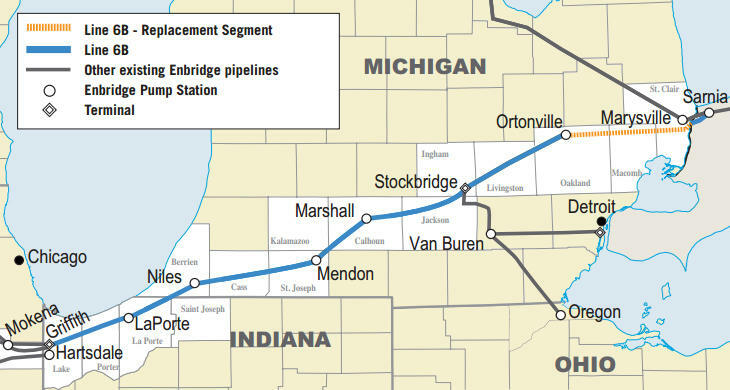 Enbridge Energy has finished laying its new oil pipeline across Michigan as part of its $1.3 billion pipeline replacement project. Much of the new pipeline was put in the ground near the old pipeline. That old line broke in 2010, spilling more than 800,000 gallons of heavy tar sands crude oil into Talmadge Creek and the Kalamazoo River. The company is just finishing cleanup work four years after that spill. The company finished laying the new section of pipeline in St. Clair County and is taking the old Line 6B pipeline offline there. Jason Manshum of Enbridge says they'll start working on purging the oil out of the old pipeline tomorrow. After that, he says, the old line will be filled with nitrogen and capped. Manshum says they expect oil to be flowing through the completed new Line 6B pipeline by October 1, 2014. Enbridge has been criticized for treating homeowners poorly in its replacement project process, and they have had protesters attempt to stop parts of the project. Manshum said the replacement in St. Clair County has been smooth compared to other spots along the replacement route through Michigan. 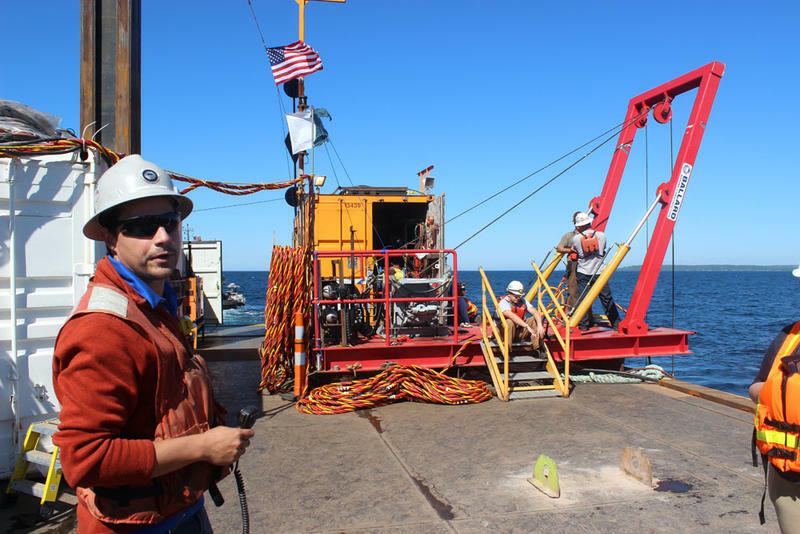 "There have been individuals or groups of people that have voiced their opposition to either the project or the industry," Manshum said, adding that in a few instances the opposition has become a threat to the safety of the protesters or Enbridge crew members. 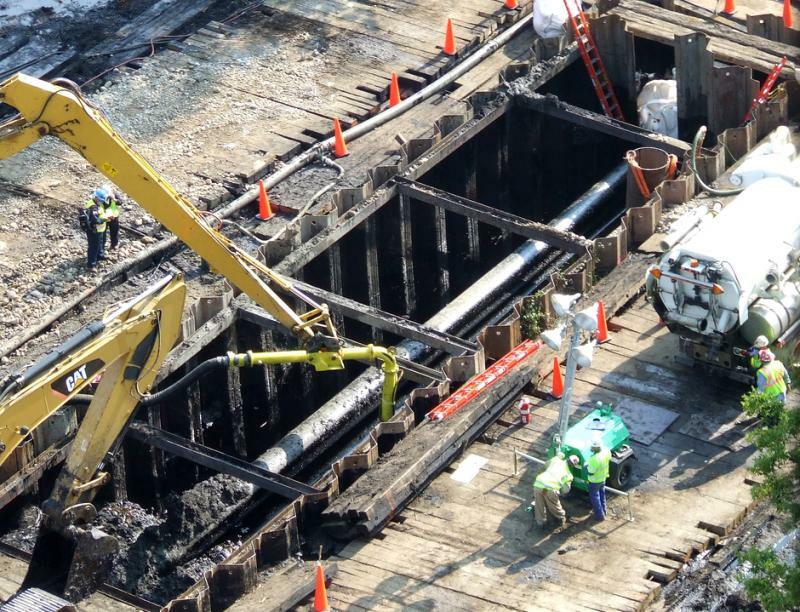 "We've unfortunately experienced that in a few places along our Line 6B replacement project, but not in St. Clair County that I can recall at this time." The new pipeline will allow Enbridge to increase the amount of Canadian tar sands crude oil being pumped to refineries in Michigan, Ohio, and Ontario. Federal, state, and local agencies took part in a mock oil spill Wednesday in northern Michigan along the Indian River. The emergency drill conjured memories of the 2010 Kalamazoo River oil spill. 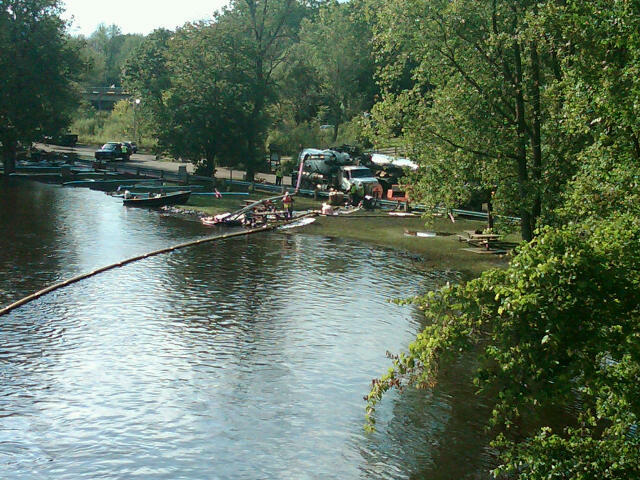 About a million gallons of crude oil have been cleaned up from that spill. There’s some concern about whether Enbridge has made important internal changes to avoid future pipeline problems. Carl Weimer with the Pipeline Safety Trust said one of the reasons Enbridge failed to prevent the pipeline break near Marshall, Michigan in July 2010 is not because the company was completely unaware of corrosion and a cracks in the pipeline. He says Enbridge inspection teams weren’t sharing information with each other. It wasn’t the real thing, but federal and state agencies joined with local groups to respond to a mock oil spill in northern Michigan today. “That boom is to keep out any oil from coming on this side,” one of the coordinators told reporters, as he pointed at crews lowering pillow-like yellow floaters into the Indian River. The booms were deployed just downstream from where an oil pipeline has sprung a make-believe leak. A short distance away, officials from a variety of agencies manned a full command center, organizing the response in the mock disaster drill.